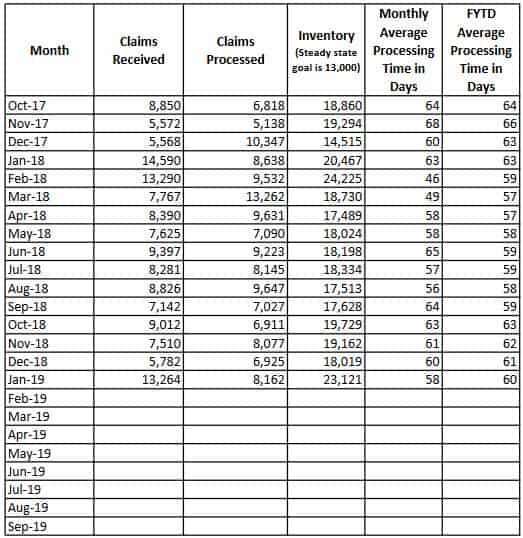 The seasonal surge in federal retirement applications in January brought a 28 percent increase in the Office of Personnel’s (OPM) backlog of unprocessed claims. 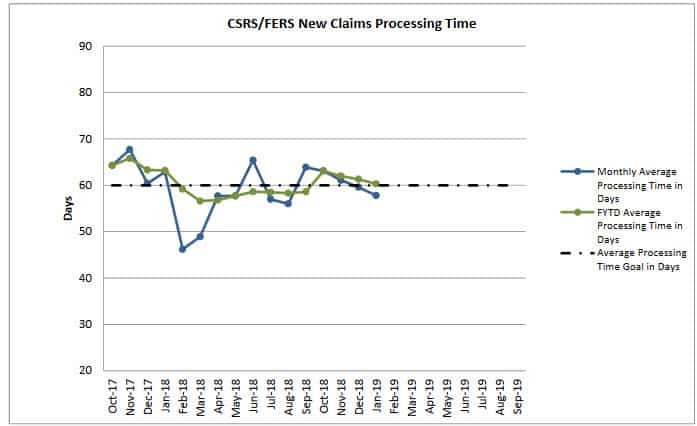 OPM received 13,264 new claims in January 2019 bringing the backlog inventory to a total of 23,121 retirement applications. This figure compares to 20,467 unprocessed retirement applications in January 2018. The average processing time of 58 days in January 2019 decreased from last year’s 63 days. The backlog, which has been a challenge for OPM for many years, has historically experienced surges in retirement claims each January and February as many federal employees put in their papers to retire during this season each year. OPM states about 26% of all retirement applications come in the first six weeks of the year. According to OPM, about 14 percent of federal employees are currently eligible to retire. In five years, that figure is expected to jump to 30 percent. OPM’s Retirement Services team gets more than 1.5 million telephone calls plus 280,000 email requests each year. Below is a the latest chart and table showing the progress for the last year.